Warren pushed this lie during her academic career, which was dredged up in 2012. Then-Sen. Scott Brown (R-MA) was running for a full term in the U.S. Senate having won the special election to fill the vacancy left by the late Ted Kennedy. Warren won because it’s deep blue Massachusetts, but this issue has not gone away. President Trump has slammed Warren for continuing to sell this racial hoax, calling her “Pocahontas.” The evidence Warren gives to legitimize this claim is shoddy at best. She has high cheekbones or something. Just found out that the The Hill is preparing a reaction story on Tweets about Elizabeth Warren as a way to fight back for her. They’re going to look at everyone’s Tweets as opposed to Warren’s false claims. Why don’t people trust media again? Two of the professors featured in Sen. Elizabeth Warren's (D., Mass.) new campaign video about her Native American ancestry have also donated to the Massachusetts senator. University of Texas-Austin Law School professor Jay Westbrook and Harvard Law School Professor Charles Fried both gave testimonials to Warren in the video and have donated $6,111 and $250 to her, respectively. Fried served as solicitor general under Republican President Ronald Reagan. 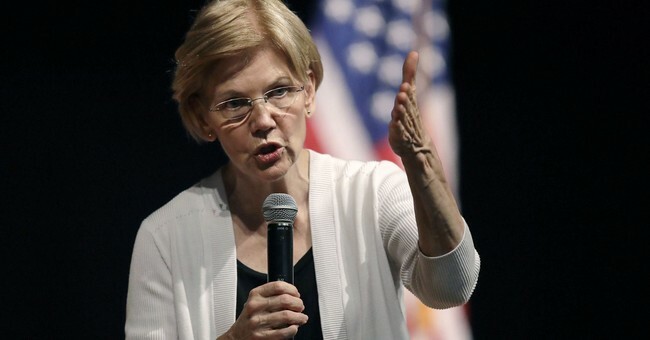 Warren released a video on Monday delving into her longtime claims of Native American ancestry and whether it had an effect on her hiring as a law professor at various schools in the 1980s and 1990s. "A DNA test is useless to determine tribal citizenship," Hoskin said in the statement Monday, which was released by the tribe. "Current DNA tests do not even distinguish whether a person's ancestors were indigenous to North or South America. "Sovereign tribal nations set their own legal requirements for citizenship, and while DNA tests can be used to determine lineage, such as paternity to an individual, it is not evidence for tribal affiliation." 10. It is very difficult to argue that Warren did not commit racial fraud. She used the advantages in the system to advance her career with no evidence (to this day) that she is actually Native American. Democrats defending her behavior on this point is dubious - at best. And now we’re going to see liberals defend this—and it’s going to be hilarious. White people, who liberals hate, are now the final judges on who belongs to which racial group. Alas, identity politics has crashed into the wall, and that disfigured, charred, corpse that’s stuck in the driver’s seat is Liz Warren’s presidential ambitions.